While pursuing Facebook I noticed a theme of different post revolving around rememburlutions and happiness jars. The idea was the same . . . . remember the good times. This struck a deep chord with me because I have tried a countless number of times to keep a gratitude journal but always failed. Being an avid journaler I thought I would jump right into it, but for some reason I struggled to remembered to fill it out. What I LOVE about the joyful jar is that I will be able to watch it fill up. This will be motivation enough to add a moment in each night. I already know that my jar will take on a life of it's own. I see myself filling it up with moments I don't want to forget, happiness, and gratitude. I love going through my photos at the end of each year and reminiscing on what happened. I have a feeling that having words to go with those photos will make it that much better. When I am feeling down I can just dig into my jar and take a trip down happiness lane. Creating a joyful jar is simple. Choose a jar, a box, or anything that can hold slips of paper. Each night before you go to bed write down one good thing --- a memory, a moment of gratitude, a piece of happiness from your day. Then fold it up and drop it in the jar. That's it. Simple. Now imagine New Years Even 2015, opening up your joyful jar and reading through a years worth of goodness. Divine!! So what do you say, are you in? If you do it I would love to see photos of your jar . 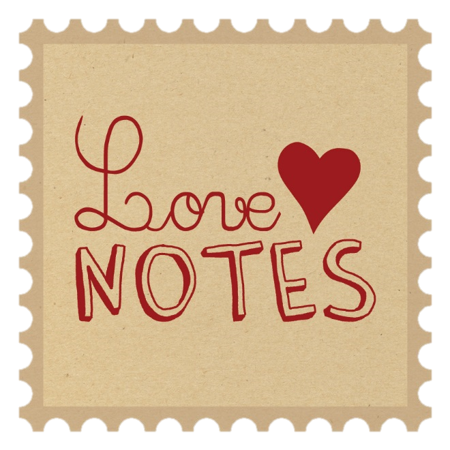 . . share them over on the love notes Facebook page.